The NBA disallowing the Chris Paul trade to the Los Angeles Lakers might have set a dangerous precedent and renewed the calls for David Stern to retire, but the bottom line, a problem which will have to be rectified at some point, is the NBA simply has too many teams. Chris Paul won’t be a New Orleans Hornets player for long. Whether it be a different trade or even the exact same trade, Paul’s contract expires next summer, and he won’t resign with a franchise that had its moment in Charlotte, had its moment in New Orleans, but generally, has failed in cities it was destined to fail in. Remember the New Orleans Jazz? The city already had an NBA team that left. The second try may have stirred some enthusiasm early on or whenever Paul was healthy, but LeBron James had a point with his comment about the matter last year. Of Couse, as public enemy number one, he was immediately attacked. So, the NBA might take a step back and allow the deal, with tweaks to go through. 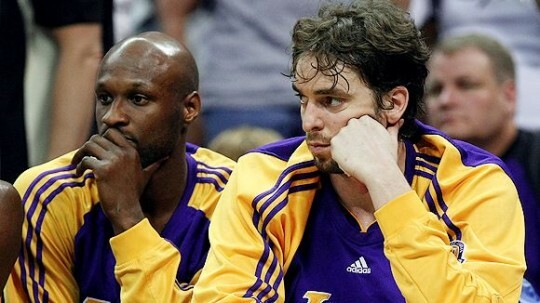 This isn’t the Pau Gasol trade from 2008. The Lakers will be giving up both Gasol and Odom, with the Spaniard heading to Houston while the Hornets will have three great starters in Lamar Odom, Kevin Martin and Luis Scola. Yes, they might be losing the best player the franchise ever had, but losing him for nothing in just over six months will be worse. I’m pretty sure that the NBA front office just pulled the trigger too soon. Maybe they felt they were over-criticized (when aren’t they) after the deal was signed, that it didn’t give the small-market teams enough as previously promised. That the lockout was for naught, and the players and big market teams still held all the power. They do, and they always will. That’s life. Money, despite caps and restrictions, brings great advantages and benefits with it. You do need some shrewd managing skills to go along, but money never hurt. 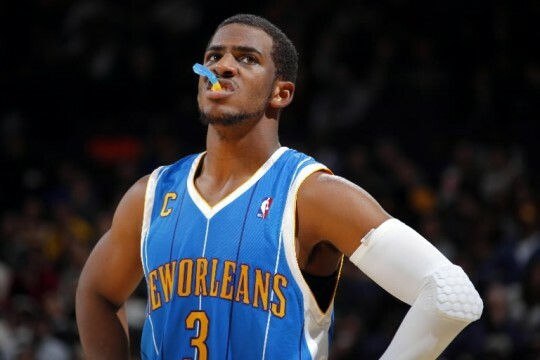 Chris Paul not going to LA will pretty much make the Dwight Howard deal a sure thing. Will the NBA stop that one as well? The Orlando Magic have already made it clear they won’t bend backwards to keep Howard when his contract runs out. It all smells of the D-12 heading to the West Coast, just like Shaquille O’Neal did over a decade ago. The Price? Probably Andrew Bynum and more. Bottom line, 30 teams is just too much. Not enough talent, even if you add the best European players in the world. What can you do, the best of athletic talents around the world prefer others sports a lot of times to basketball. Which teams should be erased of the map? I guess attendance and financial success eventually weeds out those able to sustain a team from those who can’t. Or maybe it’s all just a conspiracy to keep Paul in New Orleans and let his contract run out so the Knicks get him in 2012. Stern carries, with humor, the Patrick Ewing lottery theory for 26 years now.